Every family has that one recipe. You know, the one that makes you think of your family. The one that makes you happy when you’re cooking it and then makes you very happy when you eat it. 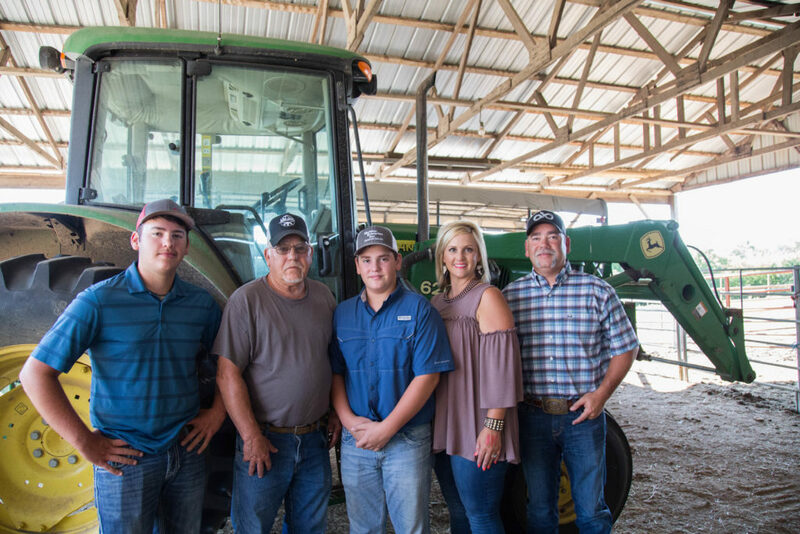 The Sims family of Conway County, Western District Farm Family of the Year, are no exception. 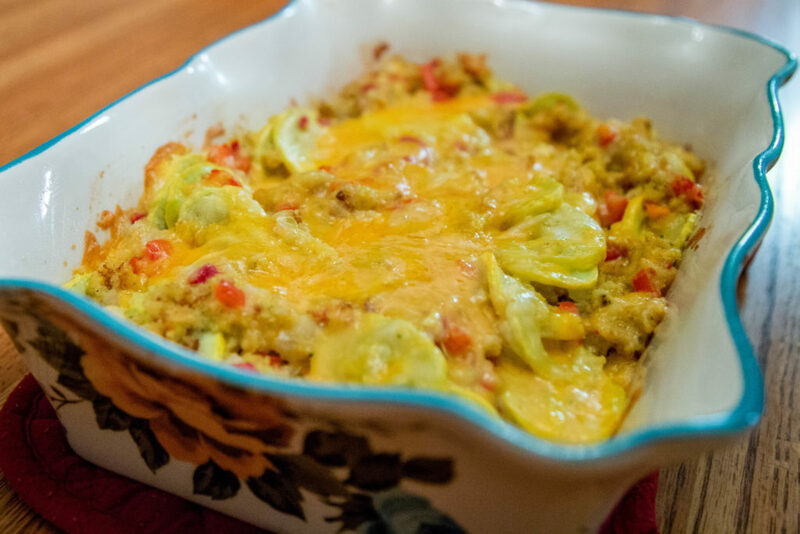 Just a few short days later, she emailed me this tasty recipe for her “Mamaw’s Squash Dressing.” Take a look below, and try this delicious dish for yourself… Maybe it’ll make you think of your family. Add baking powder to cornbread mix, prepare and bake as directed. Melt butter in heavy skillet. 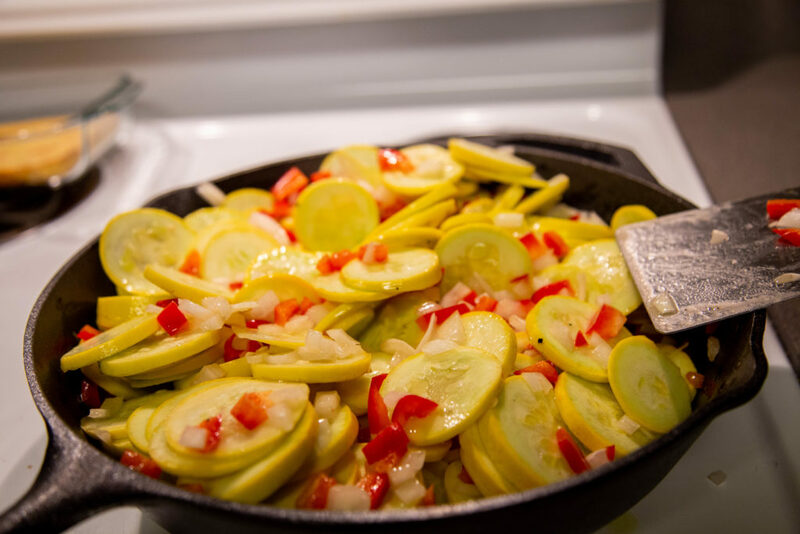 Add squash, onion and bell pepper. Sauté until tender. 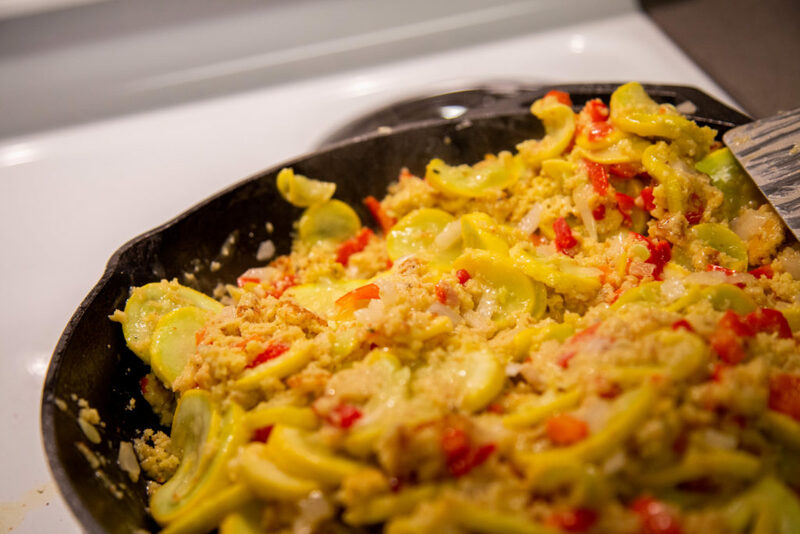 Mix together squash and all other ingredients, crumble and slightly stir cornbread into squash mixture. Transfer to casserole dish and bake at 300° for 30 minutes.